As we mentioned yesterday, the Pennsylvania House Democratic Policy Committee met on Thursday to discuss the concept of online gaming in the state. Several officials were on hand to discuss the different aspects of the option and according to the Executive Director of the state Gaming Control Board, online gambling has the potential to be ‘effectively regulated’ in Pennsylvania. In speaking on gaming licenses for online gambling, O’Toole stated that those who are currently operating land based gaming could be given license to go online. Bad actor clauses were also discussed and though O’Toole did not speak specifically on the subject, he did say that any licensed operators and vendors in the state should be clear of ‘inappropriate association’. 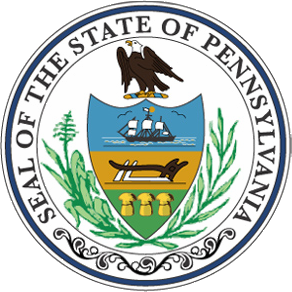 Financial controls and consumer protection was also covered in the meeting in regards to a regulated market in Pennsylvania. O’Toole discussed the point that an online platform can be home to a responsible gaming business, however, he did state that he does have concerns with the age verification processes being used and feels that a risk does exist where a child could get online and play on a registered player’s account. Another issue that is common with online gambling in the US is geo-location. The Executive Director was asked about this technology and he stated the geo-location seems to be a reliable concept. Also discussed was how land based gaming would be affected with online game play. In this section, the Senior Vice President of Government Relations and Development for Caesars Entertainment Corp, David Satz, spoke. Satz stated that online options are an opportunity for land based operators. Caesars has found that 91% of their customers online in the state of New Jersey are new. These players were not in their database for land game play. Also, players who were in the land based database were found to play even more online than in person. As far as estimated revenues for the state, Thrive Gaming took on the challenge and determined that Pennsylvania should be able to bring in an average of $450 million as the online gaming market matures in the state, if regulation is passed.